1 Preheat your oven to 200C/fan 180C/gas 6. Boil the fries for 1-2 minutes, then drain well. Spread on a non-stick baking tray in a single layer and spray with low-calorie cooking spray. Season and bake for 12-15 minutes, or until golden. 2 Meanwhile, put the shallots, peppercorns, 1 tbsp tarragon, 1 tbsp parsley and the vinegar and stock in a small saucepan, and stir together. Bring to the boil, then allow the liquid to reduce by a third (this should take about 6-8 minutes). Strain into a heatproof bowl, discarding whats left in the sieve, and leave to cool slightly. 3 Once cooled, whisk in the mayo and fromage frais. Season with a little salt, then stir in the capers and remaining herbs. Set aside. 4 Season the steaks and spray lightly with low-calorie cooking spray. Preheat a non-stick griddle or frying pan until smoking hot, then cook the steaks for 2-3 minutes on each side for rare, 4-5 minutes on each side for medium, or 6-7 minutes on each side for well done. 5 While the steaks are cooking, boil the spinach for 2-3 minutes, or until wilted, then drain well and season. 6 Dry the steaks on kitchen paper before transferring to plates. 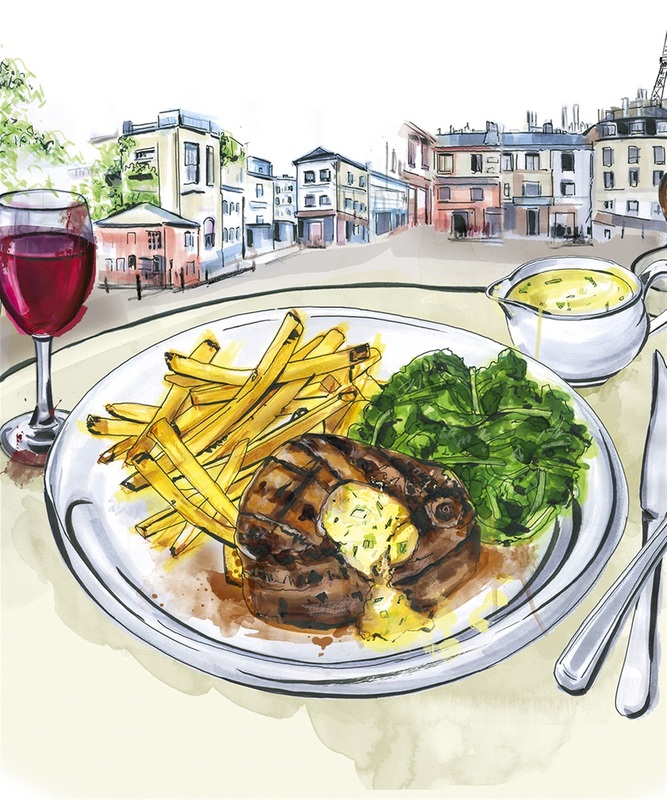 Serve with the spinach, frites and a quarter of the Barnaise sauce per person. 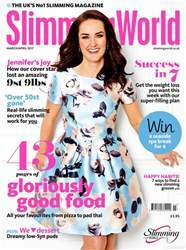 Take a step closer to the weight loss you want with the March/April issue of Slimming World magazine Featuring amazing real-life transformations, fabulous spring recipes, and expert advice on overcoming any hurdles holding you back from slimming success. Our 40+-page recipe collection means you don’t have to miss out on any of the dishes you love. Curry, kebabs, pizza, pasta, burgers, chips… nothing’s off the menu with our lighter versions of the nation’s takeaway faves. And you’ll fall head-over-heels for our heart-themed desserts – a dreamy end to a deliciously filling, slimming meal. Sometimes life knocks even our best-laid healthy-eating plans off course. Whether it’s stress, tiredness or just plain boredom, we show how you can identify your danger points and stay on track during tricky times. There are plenty of motivational real-life stories to inspire you, too. Meet cover star Jennifer, embracing an exciting new future after losing 9½st; married couple Andrew and Paula, who’ve lost a combined 14st 9lbs; and six more Slimming World members who are enjoying the health and wellbeing benefits of achieving their target weight. Plus: an exclusive seven-day menu plan; how to stop smoking and slim; and our pick of the season’s brightest styles – for your slimmest and best-ever spring!